User Experience Design (UXD) tends to brings to mind interface design, and even that is frequently limited to software interfaces. However, there is more to good design than layouts on touchable surfaces: the user's experience extends beyond the digital screen, and great design can benefit the user beyond two dimensions. A sister term to UXD is Human Factors and Ergonomics (HF&E). While "UXD" connotes software design, "HF&E" typically refers to the design of three-dimensional products. Ergonomics may include designing products to take cognitive abilities into consideration, but it is more often used to refer to the design of products so as to "prevent repetitive strain injuries and other musculoskeletal disorders" (Wikipedia). 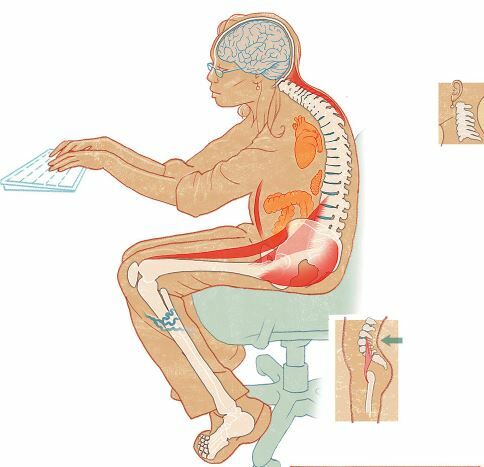 Ergonomics contribute to lifelong well-being: particularly in the case of office seating. 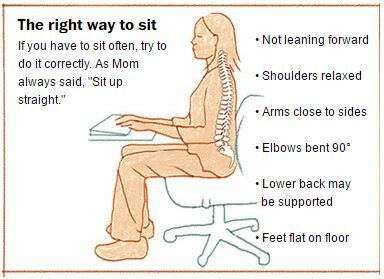 An ergonomically designed office chair can help balance your musculoskeletal system to make sitting with proper posture easier. These are a few of the most popular chair designs on the market that can aid seated posture. 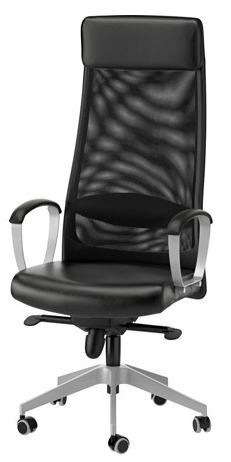 IKEA's Markus office chair, in the traditional style (From IKEA). Simple, lean, and sleek, the IKEA Markus is one of the most affordable traditional office chairs that boasts all-round good reviews. From Gear Patrol and LifeHacker to IGN boards where casual gamers share their experiences, the IKEA Markus provides breathable lumbar support through its mesh backing, and it's accessible for a test drive via IKEA's many branches. Buy it here for $229. 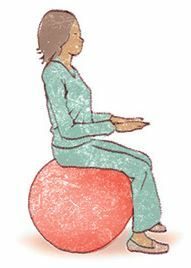 A recent trend in sitting ergonomics is the exercise-ball-as-chair trend. 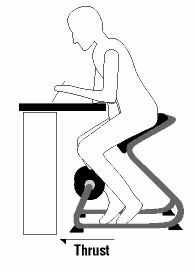 Rooted in the idea of active sitting, where the sitter engages their core to try and balance on the rounded, backless exercise ball. This trend has progressed across classrooms, where teachers hope active sitting will improve both mental focus and posture for their students as well as themselves (Hedge, 2017). However, although there is some evidence for improved mental focus, other studies find that the benefit of using exercise balls as chairs may be inflated: instead, participants greater discomfort after sitting for long periods of time, combined with soft tissue compression (Hedge, 2017). Experts warn against using stability balls for long periods of time - but perhaps short periods of sitting (less than 20 minutes) may help with concentration (Hedge, 2017). Buy a stability ball here for $13.99 (on sale). The result of ergonomics research at University of Waterloo, Mayo Clinic, and Cornell University, among others, the CoreChair boasts similar benefits to using an exercise ball as a chair, but with the added bonus of providing more stability and lumbar support. However, evidence-based comfortable active sitting comes at a cost... 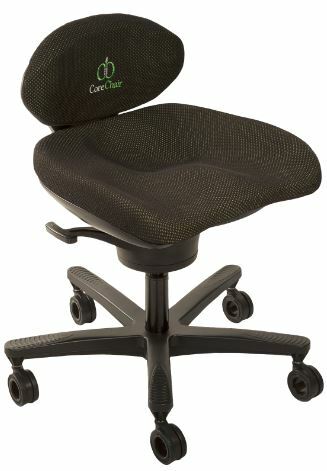 The CoreChair is about 70x more expensive, coming in at $995. Buy it here. The forward sloping chair can be any typical office chair with the additional feature of an adjustable slope on the seat. Allowing the seat to slope forward gives the user more control over the angle at which their legs meet their hips, affording better sitting posture without cutting off leg circulation. Any office chair with an adjustable seat will fulfill this purpose. A kneeling chair (Image Source). Another popular design for chairs is the kneeling chair. It is also backless, like the exercise-ball-as-chair. The seat is sloped forward at 30 degrees, and there is an added padded support for the user's knees. A kneeling chair provides alignment for the spine and reduces the load on the lower back (Canadian Centre for Occupational Health and Safety). Buy one here for $160. The saddle chair, with its adjustable height on a vertical pole and no back, allows the sitter to switch between sitting and standing, while continuing to provide some stability at the seat. Buy one here for $78. Perhaps one of the best ways to avoid postural imbalances is to change your posture entirely. Experts recommend switching between sitting and standing while working. Having a desk with an adjustable-height, or a platform in your workstation that accommodates your standing height, can both help you improve your posture without pausing in productivity. 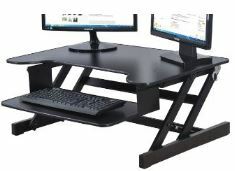 This well-reviewed adjustable-height desk with a retractable keyboard platform is available for $275 from Amazon Canada. Another option to help rehabilitate back damage is to practice yoga. The cat and cow poses provide benefits for reshaping damage from improper sitting posture. Berkowitz, B. & Clark, P. (2014) "The health hazards of sitting." The Washington Post. Accessed February 19, 2017. https://www.washingtonpost.com/apps/g/page/national/the-health-hazards-of-sitting/750. Hedge, A. (2017). "Sitting, Redefined." SpineUniverse. Accessed February 19, 2017. https://www.spineuniverse.com/wellness/ergonomics/sitting-redefined. "Human factors and ergonomics." Wikipedia. Accessed February 19, 2017. https://en.wikipedia.org/wiki/Human_factors_and_ergonomics. Cover Photo: Federica Campanaro, found via Unsplash.